Our Silk Leash is designed to allow Dartists to change out different Dart heads while enjoying the smooth feel of our Silk Darts! 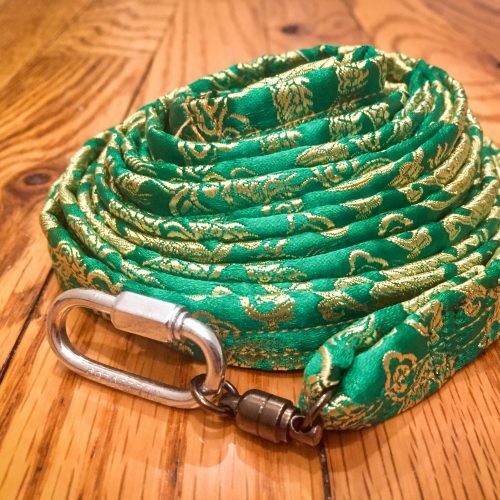 The Silk Leash is 5/8″ wide, is stitched together with heavy denim thread and features a swivel link and quick link for easy transition between your favorite Dart heads! 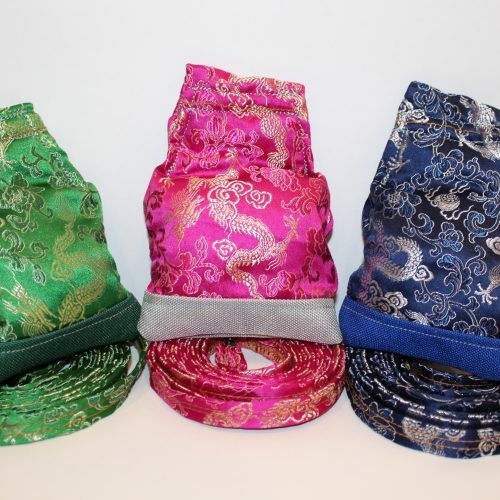 Our Silk Leash is made of strong silk brocade and will hold up to the most dynamic spinning. 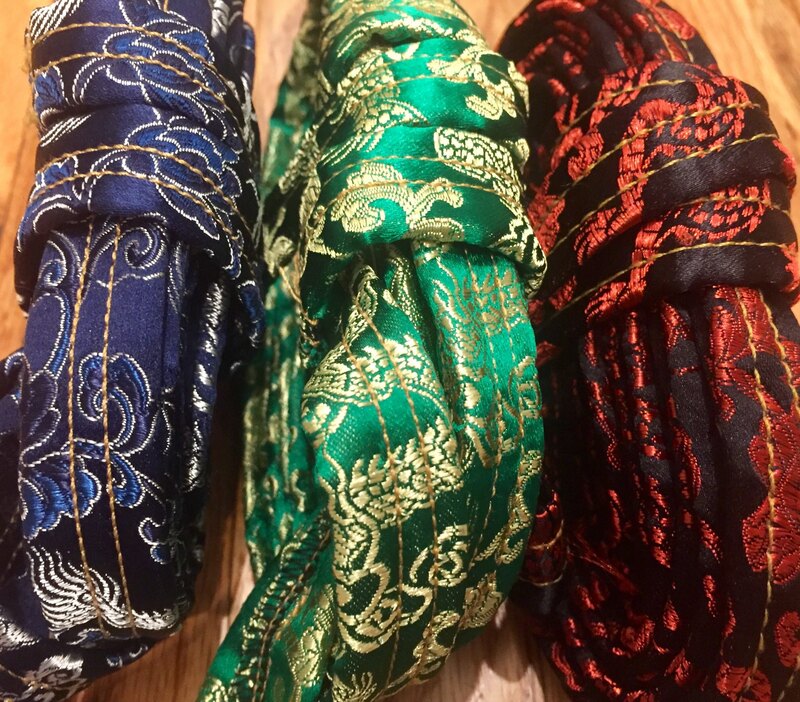 The Silk Leash is soft, giving the user a smooth feel when practicing, performing or dancing.